This is just a quick shout out in support of this really cool game a friend worked on. 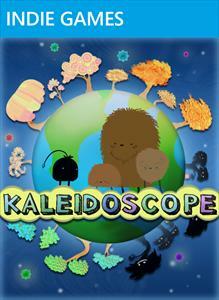 It’s called Kaleidoscope, and it was released on the Indie Games platform on the Xbox 360. I’ve got to say this is easily the most colorful game I’ve played on the Xbox, and yes, I have played Beatles Rock Band. The colors are very bright, yet also soft. It is very easy on the eyes, and for that reason alone, extremely enjoyable. It’s a great break from the usual explosions, and break-neck pace of most games. The world loses its color, and it’s up to a little piece of lint — named Tint — to help bring the color back to the world of Kaleidoscope. The music compliments the game very well. It’s a subtle type of electronic music that perfectly fits the mood of the game, and I believe actually grows in complexity based on the environment change of the game. The full soundtrack was released for free on OverClocked ReMix.